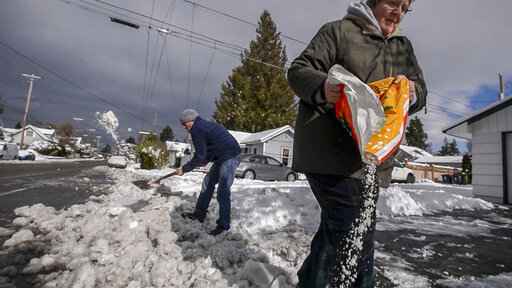 SEATTLE (AP) — Pacific Northwest residents, more accustomed to rain than snow, found themselves digging out yet again as a fresh round of storms moved over the area, with an additional punch to come early this week. The sun came out Sunday afternoon, but snow returned in the evening across the Northwest, bringing 1 to 4 new inches (2.5 to 10 centimeters). And another storm bringing snow and the potential for freezing rain was on tap for parts of the Seattle area. An expected 2 feet to 4 feet (0.6 meter to 1.2 meters) from Sunday through Wednesday in the Cascades could be welcome to skiers and snowboarders, Will Ahue, a meteorologist with the National Weather Service in Portland, told The Oregonian.